With more than 100 guests, NOW! 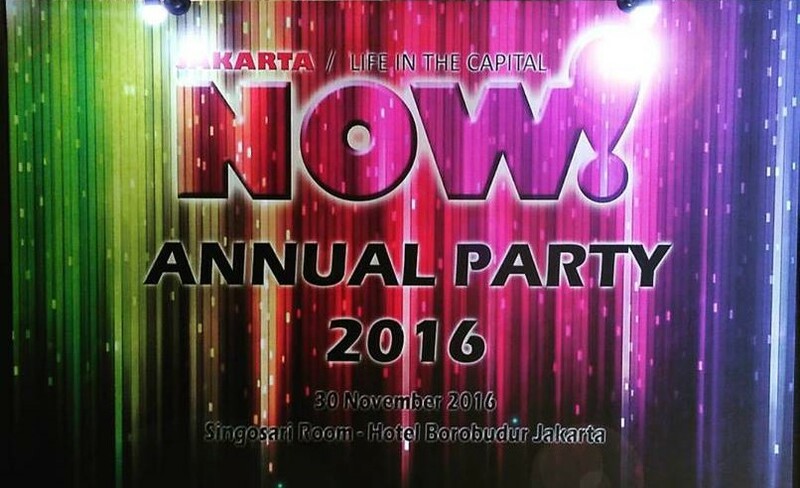 Jakarta celebrated its annual Client Gathering at Singosari Room, Hotel Borobudur on November 30. This appreciation night was dedicated to NOW! Jakarta's most loyal clients and advertisers. Patrick Beck, General Manager of the Borobudur Hotel, warmly welcomed the attendees - all dressed according to the theme of the evening, chic and colourful - and looked back on the relationship between NOW! Jakarta and Hotel Borobudur, that is still going strong after eight years. Afterwards, Alistair Speirs, founder of NOW! Jakarta and Phoenix Communications, took to the stage to give a brief speech, emphasizing that NOW! 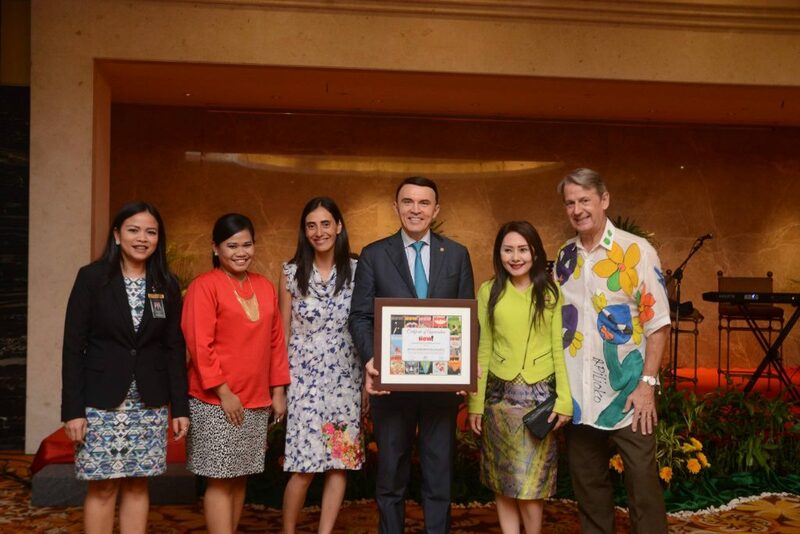 Jakarta wouldn't be where it is today without the continuous and valuable support of its partners. During an award ceremony, NOW! 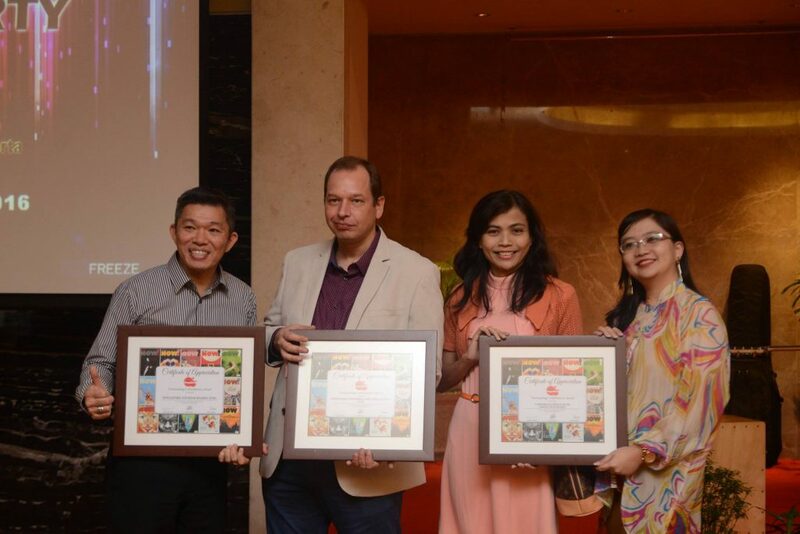 Jakarta's most loyal clients received a token of appreciation, ranging from partners in the hospitality and F&B industry to the field of education, transportation as well as health and beauty. The band Miles Project entertained the guests with acoustic music as they enjoyed the lovely buffet comprising both Indonesian and Western food as well as Plaga Wine and Heineken beer. The evening took a fun turn when it was time for a few quizzes, door prizes and the "best dress" award: much laughter filled the room, when MC Sary Latief asked NOW! 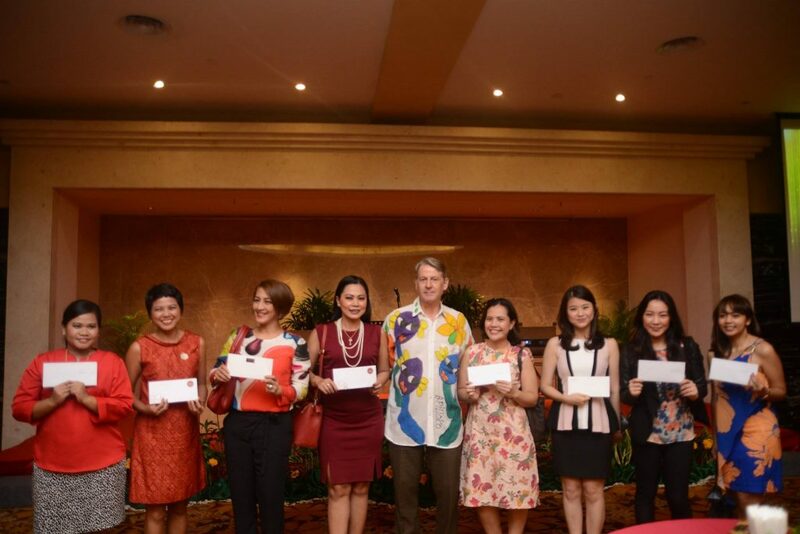 Jakarta-related questions and handed out vouchers and gifts to the lucky winners, making it an evening to remember. We would like to express our gratitude to the generous sponsors of NOW! Jakarta's Client Gathering: Hotel Borobudur Jakarta, Plaga Wines, Heineken, The Hermitage Menteng Jakarta, Hotel Grandhika Iskandarsyah, Padma Hotel & Resort, Artotel Bali, UNION Group, AMUZ Gourmet Jakarta, ARTOZ Whisky and Cognac Bar Jakarta, Cloud Lounge Jakarta, Celebrity Fitness, Outback SteakHouse, Grand Whiz and Revlon. Our Most Loyal Clients and Advertisers: Accor Hotels DoubleTree Hilton Jakarta Inti Whiz International Hotel Borobudur Jakarta Lavish Kemang Fraser Hospitality Eksekutif Menteng British School Jakarta ACG School Jakarta Immigrant PT Sari Coffee Indonesia (Starbucks) Turkuaz Qatar Airways Trac Astra Blue Bird Group Mega Insurance KOA Global Mandiri Brother Indonesia IKEA Indonesia PT HERO Supermarket Tbk. Siloam Hospital Premiere Jatinegara Hospital Crown Relocation Indonesian Netherlands Association (INA) Singapore Tourism Board Corporate Office of SIS Group of Schools For more photos please click here.